SPRING IS HERE, AND SUMMER IS AROUND THE CORNER! Call for a Free Estimate, and Make Sure Your Home Stays Safe from Storm Damage! Are the trees in your yard looking a little wild and overgrown? This could be more than a cosmetic issue-a tree that hasn't been cared for properly could cause serious damage to your property. Hire the arborists at Nunnally's Tree Service to check on the health of your trees and provide any care services you need, including trimming your trees and identifying any diseases or fungi. Did a tree recently fall on your property? We provide tree removal services in Chesterfield, Virginia, too. Nunnally's Tree Service offers military and senior discounts on tree care and removal services in Chesterfield, VA. Contact us today for a free estimate on any tree or plant care services you need at your home or commercial property. 1. Remove dead or dying trees from your yard. 2. Clear away fallen branches after a storm. 3. Inject your trees with disease and fungus treatments. 4. Trim your trees as often as needed to prevent overgrowth. 5. Call in a crane company to remove extra-large trees or branches. There's no project too big or too small for our tree care specialists to take on. We provide tree removal and care services for homeowners at small single-family homes all the way up to huge apartment complexes and commercial properties. Our arborists pride themselves on being thorough and respectful. We leave every job site looking cleaner than it did before we arrived. We'll rake, blow leaves and do whatever it takes to make your space look spotless. Plus, we use as little heavy equipment as possible to minimize damage to your yard and the environment. Contact us today to schedule services at your property in Chesterfield, Virginia. Don't settle for anything less than excellent tree care. 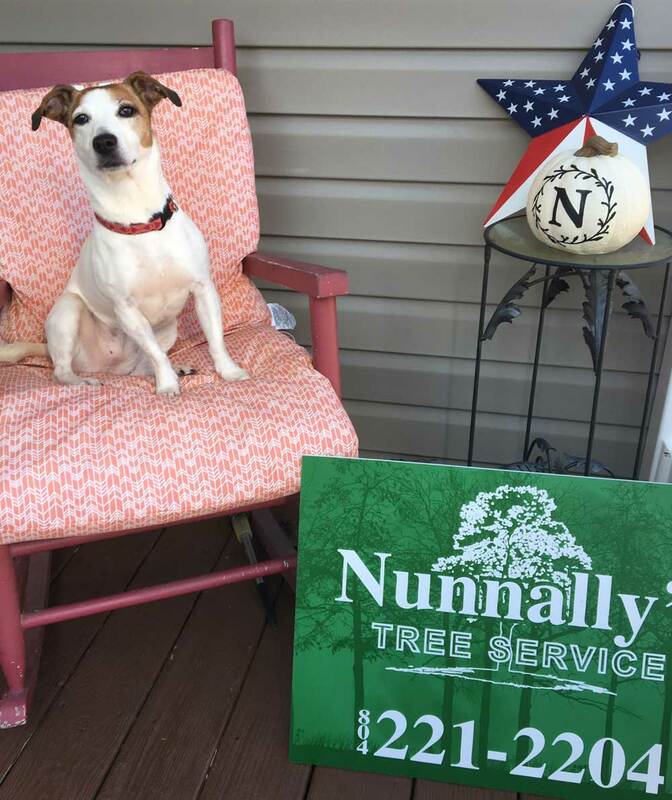 Nunnally's Tree Service never cuts corners, and customer service is extremely important to our team. Our family-owned company opened in 2010 in Chesterfield, VA.
Tim Nunnally, along with his wife, run the day-to-day operations at Nunnally's Tree Service. We're licensed and insured, so you can rest easy knowing your tree care services will never put you at risk. Call 804-221-2204 right now to schedule a tree removal, trim or other service in Chesterfield, Virginia.